"Thanks to everyone who provided feedback during the rules review process," said Andy Blank, N2NT, Director of the WRTC2014 Rules Committee. "We wanted to release the rules prior to the 2012 IARU Championship so that potential competitors and the WRTC test stations would have the opportunity in 2012 and 2013 to practice under the rules." "Building on the fabulous job done by the WRTC 2010 Committee in Moscow, we have added a new twist - the change to a Two-Operator Two-Transmitter competition," continued Blank. "Both stations will be permitted to transmit at any time." emphasis on the operating skills of both team members. The real-time decisions by the competitors to balance running and multiplier chasing will be more important than ever before. 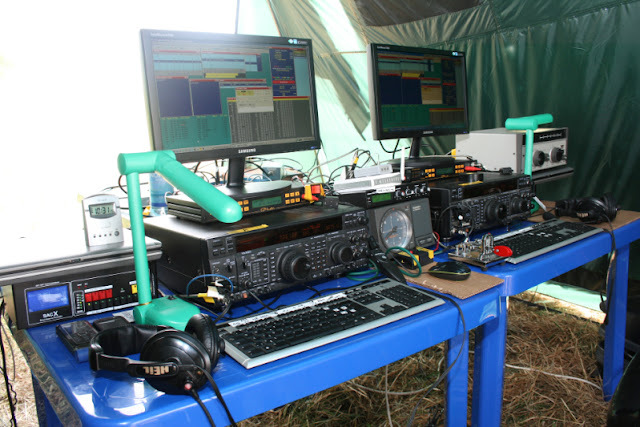 The World Radiosport Team Championship (WRTC) is held every four years and consists of approximately 50 two-person teams of amateur radio operators from around the world competing in a test of operating skill. Unlike most on-the-air competitions, all stations are required to use identical antennas from the same geographic region, eliminating all variables except operating ability. Previous WRTCs have been held in Seattle (1990), San Francisco (1996), Slovenia (2000), Finland (2002), Brazil (2006), and Russia (2010). More information is available at www.wrtc2014.org or contact WRTC Chairman, Doug Grant, K1DG, via e-mail at k1dg@wrtc2014.org.